If you’re looking for a romantic destination that’s also a fresh place to find refuge from the tropical sun of the south of the country, Da Lat is the right place: an enchanting and flowery hill city, 300 kilometers north of Ho Chi Minh and 140 kilometers from Nha Trang, in Lam Dong province, in southern Vietnam’s highlands. 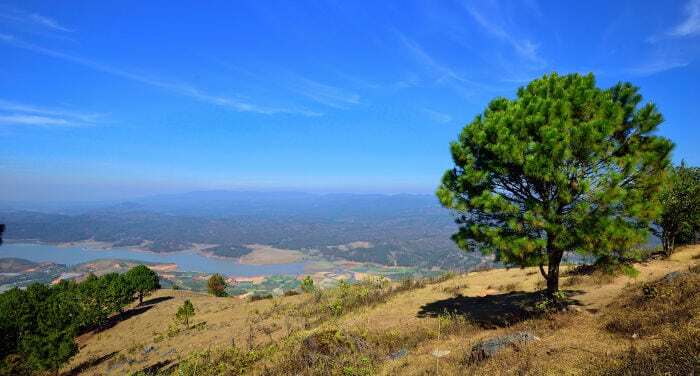 Da Lat is surrounded by lakes, large pine forests, greenhouses and plantations of coffee and strawberries which has made it famous as a tourist destination for both foreigners and locals. Also known as little Paris, Da Lat is a beautiful mix of homes built during French colonization, where colonists in fact built this location to escape the humidity and pressing rhythm of Ho Chi Minh. It’s also a main draw for those interested in architecture. How to get to Da Lat? 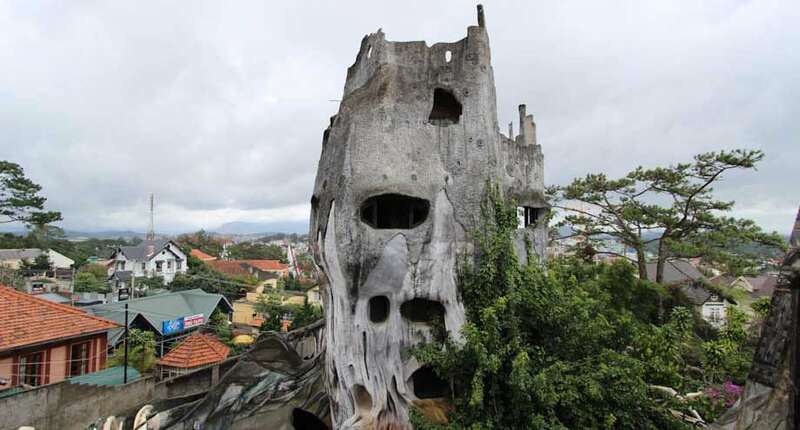 The Hang Nga Guesthouse, best known as “Crazy House”, is an extremely unconventional building designed and built by Vietnamese architect Đặng Việt Nga in Da Lat, in Vietnam. The building, which is often described as “the fairy-tale house”, mimics the form of a tree and contains “natural” decorative elements such as animals, mushrooms, spiderwebs and caverns. To alleviate the costs during construction of the house, from 1990 Đặng Việt Nga opened the house to tourists. Not only is it possible to visit the house (as I did), but you can also sleep there (there are 10 bedrooms). The price for a visit is about 40,000 VND (about two Dollars! ), while the price of rooms vary from 30 to 60 Dollars a night. The Crazy House is open to visitors every day from 8:30 in the morning to 7 in the evening. The address is: 03 Huynh Thuc Khang St, Ward 4, Da Lat, Vietnam. If you’re passing through Da Lat, I recommend you visit it!